Peerless-AV’s Rotational Wall Mount has been designed to support the features and functionality of the 55" Samsung Flip display. The mount’s rotational interface allows the user to easily rotate the display 90° from landscape to portrait, and holds the display at a negative 4.5° to further promote ergonomics with a more natural angled writing surface. The unique cable management system allows cables to be routed through the interface, which keeps the cabling safe and abrasion free when rotating the display. 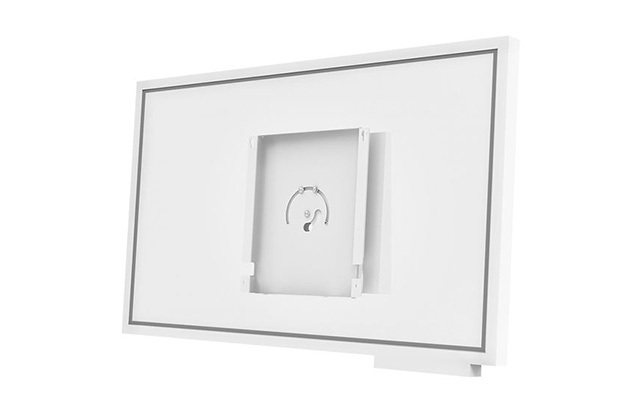 With a robust feature set featured on safety and durability, the Rotational Wall Mount is ideal for collaboration spaces in corporate or education settings.